The next morning, I woke up at 6am still a bit drowsy from the night before, I got up and decided to get changed and go down to breakfast. No one was down there except for Lori who had Carl wrapped in her arms. "Morning" I started the conversation in a very low tone, my head was killing me! "Morning, its Jess right?" Lori replied still with Carl in her arms. "Yeah and you&apos;re Lori? Sorry we haven&apos;t really had time to get acquainted" she smiled, "We haven&apos;t really had the time! but its nice to meet you"
The others began to fill the hall, Daryl looked like hell, he was very hung over as was Glenn. Shane entered the room, and immediately made eye contact with Lori then broke it. I glanced at a red mark on his neck, what was it? "What happened to your neck?" upon further inspection, it appeared to be three long scratches. "Er must a dun it in my sleep" he replied defensively whilst making further eye contact with Lori. Something went one between them two and I&apos;m going to find out what. Jenner appeared, we all said morning, there was a brief silence. Out of now where, "So you gonna tell us what&apos;s been happening doc?" Shane broke the silence "Come with me"
We followed Jenner into a large dimmed room. Jenner began talking to himself but later revealed he was talking to an A.I computer (artificial intelligence) her name was Vi. Jenner then showed us a video clip of a subject who was infected with the virus. TS19 (Test subject 19) He showed us what happens before and during your death and how you&apos;re dragged back from death into life again. Andrea clocked on that it was his wife, as did I. He had to shoot her, his own wife, this made me think about James, a tear rolled down my cheek. I felt a hand squeeze my shoulder, it was Rick, he gave me a sympathetic smile which I returned. "Hey doc?" Dale broke silence and Ricks hand fell from my shoulder, everyone turned and looked at Dale pointing at a timer. "I know this has been taxing for you And I hate to ask one more question, but that clock, it&apos;s counting down. What happens at zero? " Vi elaborated on Dales question "The power will run out and when the power runs out, facility-wide decontamination will occur" Everyone paused dazed as to what had been said, I knew exactly what was going to happen. "We need to leave!" I looked at Rick, he could see the fear in my eyes. "Everybody get your things were leaving!" We approached the big steel door, it slammed shut. "Let us out! we have children!" Rick screamed. I couldn&apos;t think straight, Jenner was saying something about the decontamination process, of course I already knew what was going to happen, I didn&apos;t need a step by step explanation. I kept thinking I&apos;m going to die here, after Daryl had saved my life I knew I didn&apos;t want to die. I had to face the facts, the door was shut and we weren&apos;t getting out of here. I sat the dazed, my vision began to blur, I was crying. I wiped my eyes countless times but it was no use. Seconds felt like minutes and minutes felt like hours. 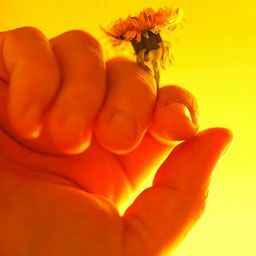 A hand jerked me from my never ending thoughts. It was Rick. I looked up to see his caring face looking down at me "We have to go now! get up were leaving!" I look towards the door, it&apos;s wide open, I&apos;m getting out of here! "Rick what took you so long we need to leave!" 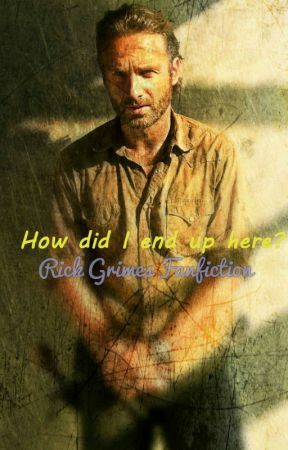 Lori looked at me, i looked around to see everyone already here then it hit me, Rick had come back for me. If it wasn&apos;t for the life threatening situation I&apos;d be flattered, yet my stomach still had butterflies. "Rick I still have this!" Carol shouted whilst handing him a small sphere like object. He shouted to everyone to take cover, I heard a pin drop on the floor in front on me and I finally realised what it was... a grenade. The grenade blew up, piercing my ear drums. I got up and ran to the small hole through the thick glass knowing we only had seconds to get away before the whole place blew up. We reached the RV and climbed inside, I curled up in a ball and waited for the bang. Lori began to shout, Andrea and Dale must have still been in there when we had escaped. Everyone shouted at them to get down, then I heard the sound of the building begin to break down and explode, if Rick hadn&apos;t have come back for me I would be dead. I owe him and Daryl so much.